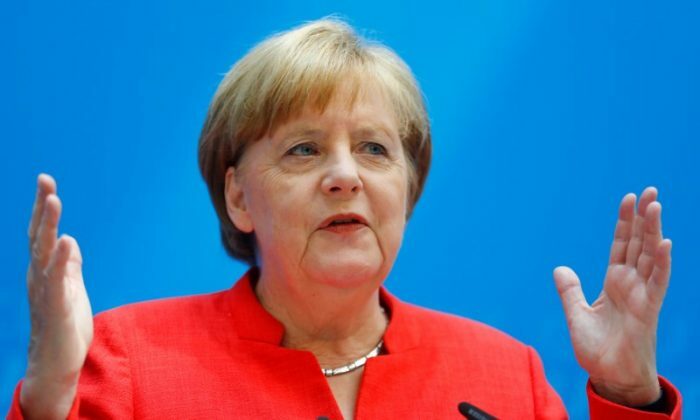 BRUSSELS—European Union leaders gather in Brussels on Sunday in an attempt to bridge their deep divisions over migration, an issue that has been splitting them for years and now poses a fresh threat to German Chancellor Angela Merkel. Though arrivals across the Mediterranean are only a fraction of what they were in 2015, when more than a million people reached Europe, a recent opinion poll showed migration was the top concern for the EU’s 500 million citizens. Merkel is under pressure because her longtime conservative allies, Bavaria’s Christian Social Union (CSU), have threatened to start turning away at the German border all asylum seekers already registered elsewhere in the EU unless the bloc reaches an agreement on distributing them more evenly. They mostly live in countries like Greece and Italy—both long overwhelmed with arrivals—or wealthier states like Germany or Sweden, where they choose to try to start a new life. The former communist states in the EU’s east led by Hungary and Poland have refused to host any of the new arrivals, citing security risks after a raft of Islamic terrorist attacks in Europe. The bloc has been unable to break the deadlock, the bad blood spilling over to other areas of their cooperation, including crucial talks on the bloc’s next seven-year budget from 2021. With Germany being the main contributor to the bloc’s joint coffers, the southern gateway countries were promised more money to handle migration, while the reluctant easterners face cuts in development aid. She opposes the idea by the CSU, which will face the anti-immigration AfD party in Bavarian elections in October, because it would mean rigid border controls inside what is normally the EU’s coveted control-free travel zone. To placate the CSU, Merkel must get something from Sunday, arranged hastily among more than a dozen EU capitals, and also from the full summit of the bloc’s 28 leaders on June 28-29. Berlin’s other idea is to send back those asylum seekers who make it to countries like Germany to the states of their first arrival, like Italy. In the mid-term, the EU is only going to become tougher on migration, something rights groups denounce as turning it into a “fortress” beyond reach for those less privileged. “Despite today’s dramatically lower arrival rates, the shockwaves of that event still reverberate—at the political level, and in the tendency toward restrictive, unilateral approaches that some European countries have pursued,” he said. “EU policies on asylum can and should set an example on how to manage refugee situations with compassion and solidarity,” he added, urging the bloc to overcome its divisions to help those in need rather than focus on just winning the next election.